Social Innovation Fund Ireland is hitting the road! 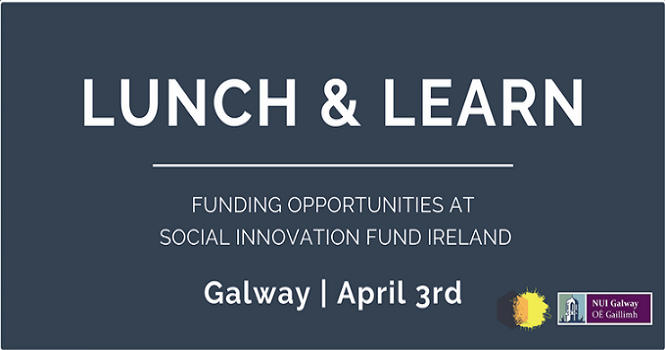 They will be hosting a roadshow in the Institute for Lifecourse and Society, NUI Galway on the 3rd of April, from 12pm - 2pm, to discuss the funding opportunities available to Social Enterprises & Charities with Social Innovation Fund, Ireland. This is your chance to meet some of their team, find out how to apply to any of their four funds which are open for applications and of course, have some lunch!